Community Commitment Award winners in New York. Podcast interviewees are Chris Gaynor, Bank of Nevada (far left); Sherry Schneider, Old National Bank (third from left); Marcus Vasquez, Allegiance Bank (fourth from left); Nancy Stager and Glynn Lloyd, Eastern Bank (fifth and sixth from left); Christina Cudney, United Bank (fourth from right); and Lenny McNeill, U.S. Bank (far right). 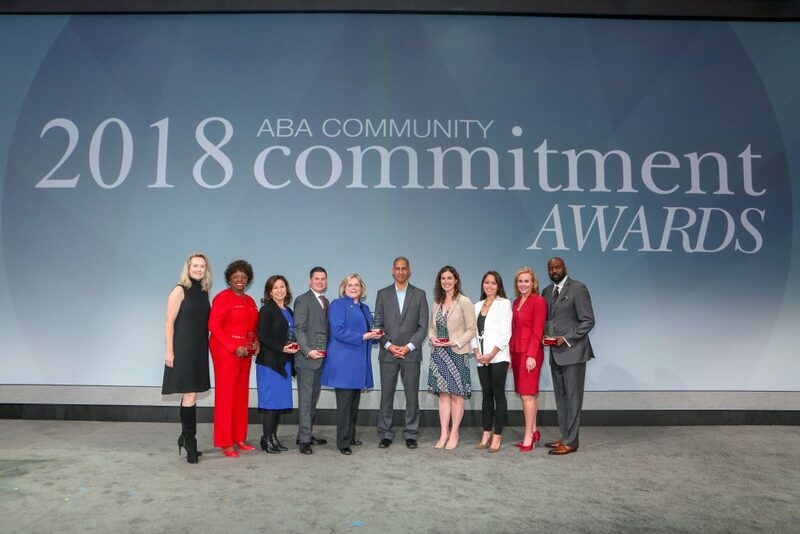 The latest episode of the ABA Banking Journal Podcast features interviews with the winners of ABA’s 2018 Community Commitment Awards. 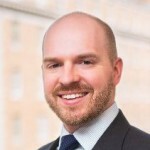 Recorded before a live audience at ABA’s Annual Convention in New York, where the awards were presented, each interview explores the winning program or initiative at each bank and provides insights on how they might be implemented or adapted at other banks. These stories present the perfect inspiration as we prepare to celebrate the Thanksgiving holiday. If you can’t see the player above, click here to listen to this episode.